This weekend, fans playing the beta for Star Wars Battlefront got the news that the open beta for the much-anticipated shooter was getting one more day. Seems like a rare, awesome gift from EA to everyone, right? Turns out it’s not all that rare. 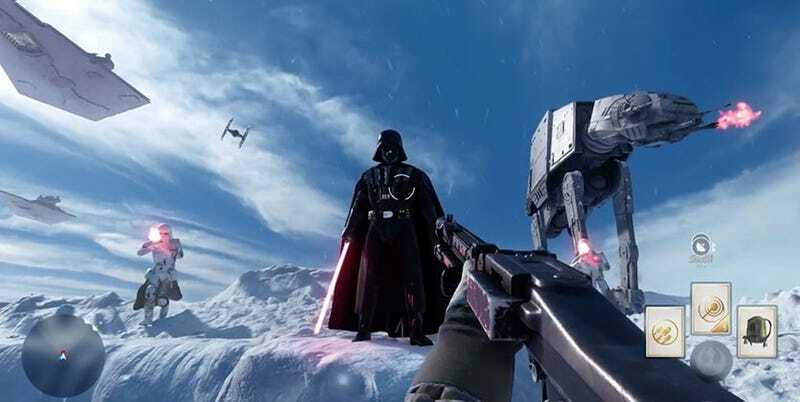 The Star Wars Battlefront beta was supposed to end on tonight but has been extended for another 24 hours. If EA’s instance of tacking extra time onto the public playtest of a AAA release feels like deja vu, then you’ve got a good memory. Just this year, Ubisoft added three more days to the closed beta for Rainbow Six Siege, which ended on October 4 instead of the original date of October 1. Prior to that, Treyarch did the same thing for the Call of Duty: Black Ops III, giving players an extra day to work on their kill/death ratios before the game comes out. The practice of extending beta makes sense for multiple reasons. If a beta runs into problems with glitches, exploits or general inaccessibility, then adding more time give developers a longer period to collect data and work on fixes. But, beta extensions might even be more useful as a PR move, as it makes publishers seem like good guys attuned to players’ desires. EA positioned their 24-hour extension of the Battlefield Hardline beta this way back in February and fan reactions were predictably positive.